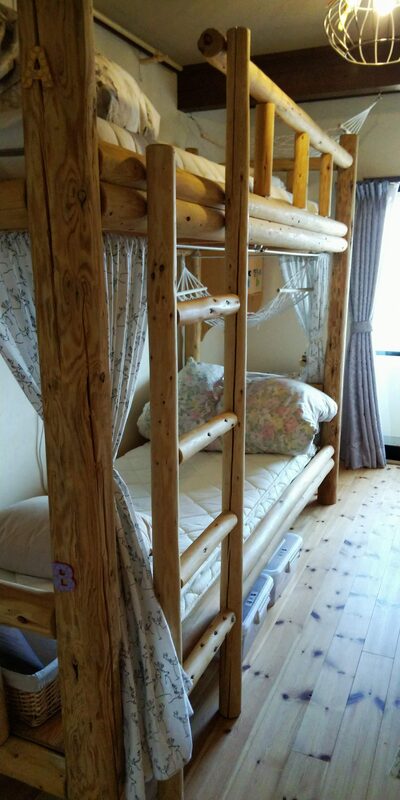 Private use of a dormitory room. 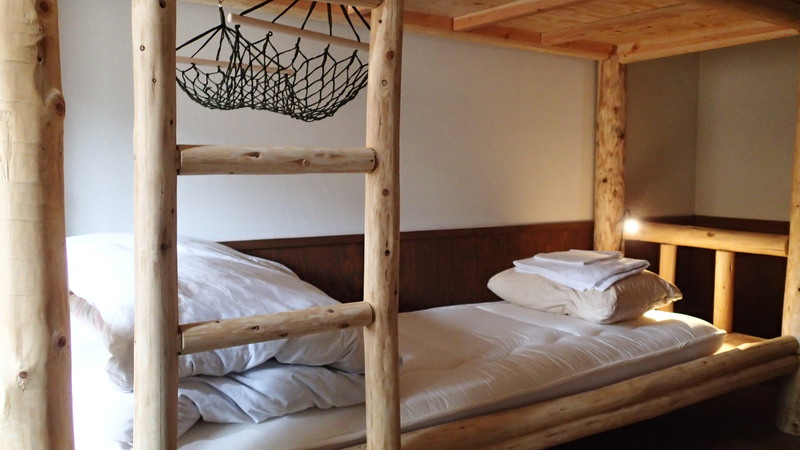 Sleeps up to 4 people on two handmade Hinoki (Japanese cypress) bunk beds with all-feather duvet and pillow, LED reading light, small locker, mini-hammock by each bed and a closet for your clothes and belongings. 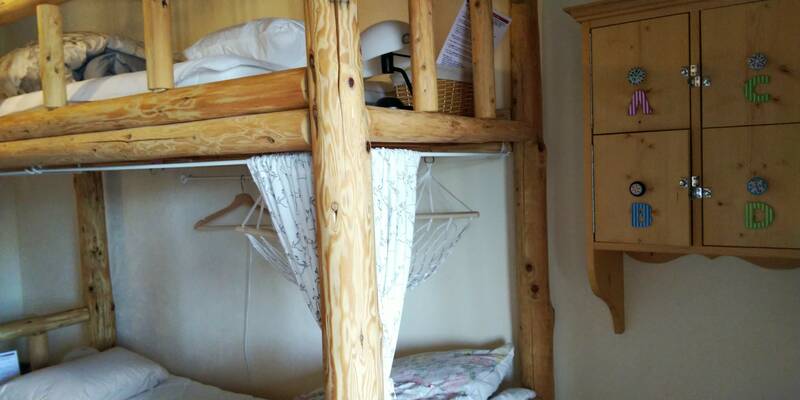 ※Room charge up to 3 people, extra person fee of 3,000 yen to be applied for the 4th guest. Discount rate to be applied during off-season and weekdays, so please check our calendar for room rate on a specific date.